The best way to get to know a community is by scheduling a tour. 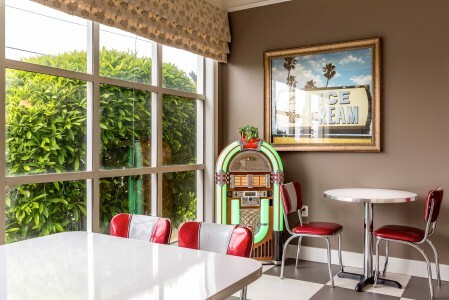 See the facilities, meet the staff and residents, and get a feel first hand what it's like to live at Pacifica Senior Living Mission Villa Memory Care. Specifically designed to provide complete care and accommodations for seniors facing the daily challenge of Alzheimer's or other dementias, Pacifica Senior Living Mission Villa in Daly City is a peaceful and homelike senior community located just down the road from San Bruno Mountain State Park, local shopping and dining destinations. Every member of our staff is committed to providing the highest quality of care to encompass the physical, spiritual and emotional needs of each individual resident of our community. This commitment to quality service also extends to the family members of each resident, who are a vital component in their well-being and care. With communities all across the United States, Pacifica Senior Living specializes in providing assisted living, Alzheimer's and memory care services. We know that every individual ages differently, and our teams are prepared to handle a variety of needs, however they may change with time. Accommodations at Pacifica Senior Living Mission Villa come in a selection of private and shared apartments in both studio and one-bedroom floor plans. Each room is equipped with emergency call systems that are monitored around the clock. This provides extra peace of mind both for residents and their loved ones. One favorite spot for residents is our community rose garden, which is a great place to enjoy beautiful flowers and sunny weather. A variety of reading material is available in our library, and classic movies are enjoyed regularly in our theater room. Home-style meals are served in our dining area and enjoyed three times daily. As needed, arrangements can be made for seniors with specialized diets. All resident accommodations receive regular housekeeping services to ensure rooms are kept looking clean and feeling fresh. As needed, residents can receive assistance with a variety of daily tasks, ranging from help with medication management or ambulation to assistance with dressing and personal hygiene. As a community that specializes in Alzheimer's and memory care, residents of our community receive specially tailored care services. Our memory care programs encourage residents to express themselves and communicate through works of art. Pacifica Senior Living Mission Villa provides a secure and inviting atmosphere for seniors in need of memory care.